Efforts to douse the massive inferno at a container warehouse on the Bluff, south of Durban, continued into the night. The fire is believed to have started at around 4-30 yesterday morning and as of midnight was still raging. Lucerne was among the items fuelling the fire leading to increased smoke being produced. 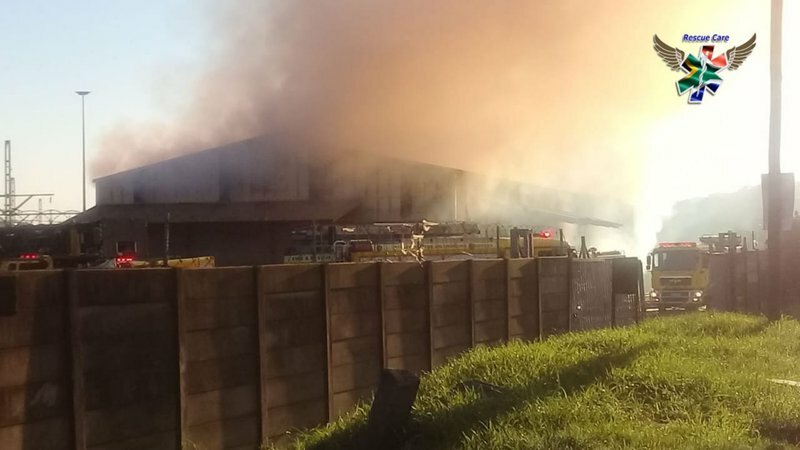 Although eThekwini Fire division commander Mervin Govender says the smoke is non-toxic communities were told to take the necessary precautions. "At this stage we are trying to establish the cause of the fire which has gutted the entire warehouse", he said. "Although air pollution is a concern we can say the smoke is non-toxic to the public", Govender said. It is still unclear what sparked the blaze.